What will climate change mean in Auckland and how will it affect the everyday lives of people in the City of Sails? A recently released report titled Climate Change: Risks in Auckland seeks to outline the implications for the city and is based on climate change projections by the National Institute of Water and Atmospheric Research (NIWA). 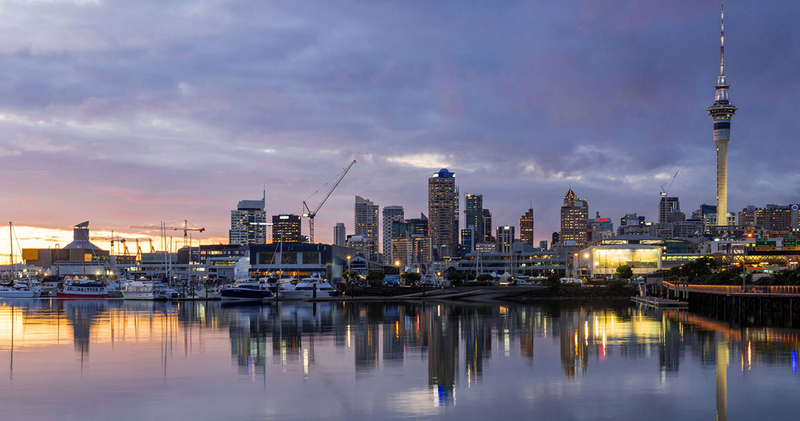 It is one of eight climate change risk assessment reports produced by the Auckland Council’s Research and Evaluation Unit looking at the key issues the city is facing. The papers will be used to create an Auckland Climate Action Plan (ACAP). The report states that the main changes to the climate and environment in Auckland will be rising sea levels, higher temperatures and humidity, changes to rainfall patterns and increased storm events. While these changes will also increase the risk of new diseases such as malaria and dengue fever in the city. It says residents will see increasing annual average and extreme temperatures, and significantly more hot days each year. According to NIWA’s Auckland Region climate change projections and impacts report the number of hot days (over 25°C) in the city are “projected to double by the early 22nd century under a mid-range climate change scenario and more than triple under a business-as-usual scenario”. Rising sea levels will put coastal communities and infrastructure at risk from inundation and erosion. While increased levels of CO2 in the atmosphere will lead to higher acid levels in the ocean, which is likely to impact on the health of marine life and cause nutrient decline. The report says there will also be changes to seasonal rain fall patterns, with more wet weather in autumn and drier conditions in spring and more extreme rainfall events. But the number of wet days we experience and soil moisture will decline. And while average wind speed and number of windy days we experience will decrease, the intensity of tropical cyclones will get worse. The report says Auckland’s annual relative humidity is projected to slightly decrease while absolute humidity is expected to increase. And these changes to the environment through climate change will have flow on effects. The health of the city’s residents will also be affected too with increased hospital admissions for respiratory disorders and heat stress, and growing susceptibility to influenza and allergens. And these changes will create an environment that allows water and mosquito-borne diseases to flourish. It says under such conditions there is an increased risk of life-threatening mosquito-borne diseases like malaria. While increased pollen in the atmosphere, once mixed with airborne pollutants, could trigger asthma attacks and other acute respiratory disease symptoms. And the drier conditions could also lead to an increased the chance of wildfires, which would reduce air quality for Aucklanders. The report says people in the region can’t afford to procrastinate. Auckland Council Environment and Community Committee chairwoman Penny Hulse says she thinks the public’s understanding of climate change is limited. She says the subject has for too long been buried in the dark depths of academic research papers and council reports. But Hulse says it’s important that the public understands how they could be affected. Amazing how these people appear to be so confident in their predictions years and decades ahead they must have a crystal ball, even weather forcasters struggle to be accurate 10 days in advance. Plus, the models on which they rely haven't made it into the Quantum era: dubbed the 'Fluid Catastrophe'....GIGO. Contemporary Fluid Dynamics is based on a myth: that a fluid is a continuum which can be fully described by the deterministic equations of differential calculus. This idea is at odds with the stochastic assumption underlying statistical inference and with the post-quantum conception of entropy. It is a relic of a bygone era when the natural world was regarded as a perfect machine. Horace Lamb was said in a speech to the British Association for the Advancement of Science, "I am an old man now, and when I die and go to heaven there are two matters on which I hope for enlightenment. One is quantum electrodynamics, and the other is the turbulent motion of fluids. And about the former I am rather optimistic." Sorry if this sounds rude - but this link is a word soup of complete garbage (even worse than the "Thormodynamics" article which appeared on this site several years ago). I certainly have my doubts about the ability of climate scientists to accurately model climate change - but this is just crack-pottery. Is this just a rewrite of article two days ago? Seems like it. So let me repeat: Cliamte change is a nothingburger for NZ Sea level rise is 1-2mm year and not accelerating (eg 50 year trends in Sydney and dunedin (random relatively stable choices) were higher in past; https://tidesandcurrents.noaa.gov/sltrends/sltrends_station.shtml?id=680... https://tidesandcurrents.noaa.gov/sltrends/sltrends_station.shtml?plot=5..., and only a tiny part of that rise is icecap melt - thermal expansion and ground-water pumping contributions are bigger. The climate change profiteers really need to find a new apocalypse to pimp, the old one just isn't convincing anymore. You using that as an excuse for convenient continuance, RW? Sorry, I just like contrarian views. I enjoy considering alternative explanations, and I find the climate change discussion has been sabotaged because it has got so very, very polarised. It has become a platform for politicians and demagogues. It was when scientists were demonised as "sceptics" that I lost all faith in the argument. That is the politics of the inquisition. Hi PDK . I am looking to set up a solar panel system for my house . In Christchurch. Do you have any suggestions that may help? Put a heat pump in your hall and reconstruct it like a lifeboat. Bed, television, small table, cell phone. It’s fun to be doomed... many of us will join you. I found this documentary very interesting seems the Antarctic Ice is not melting. As far as the Arctic goes any melting of it would not effect sea levels as it's sea ice ie saltwater. Ice sheet is one thing (no effect on sea level) and ice cap another (potential 80 metres of sea level). If the ice sheet goes the ice cap may begin to slip into the sea but then again increased humidity may result in more snowfall and even thicker ice. My bet is sudden disaster at some unspecified point in the future but I've little evidence ~ it is more to do with pessimistic human nature than thermoter readings and tidal guages. I trust subtle temperature increases in deep ocean water but distrust computer models. Apparently we will be disease ridden. Warmer, humid and wetter. Funny, it seems those who now live in Queensland are not dying in droves. Incredible how the Auckland Council could see this as a priority when there is little they can do about it - and things that affect their residents far more (and that they the council have caused) like the price of houses and rents - and traffic congestion - they do nothing about.